As Nevada Desert Experience makes final preparations for its annual desert sojourn known as the “Sacred Peace Walk,” a group of demonstrators are converging on the gates of Creech Air Force Base to hold constant vigil against the rising tide of robotic hunter-killer air systems like the Predator and Reaper “drones” controlled by crews at the Indian Springs installation. 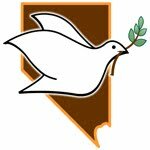 The Sacred Peace Walk begins on Palm Sunday, March 24, with a day of marching in Las Vegas taking in the Strip and Fremont Street Experience and a stop at the Dept. of Energy’s North Las Vegas facility. Then the group moves to the desert for its walking meditation and peace demonstrations at Creech and the Nevada National Security Site (NNSS). Until then an additional set of actions are taking place at Creech including three members of the activist group CODEPINK who went to Pakistan in October, 2012 as part of a peace delegation there to show solidarity with Pakistanis who are suffering under the constant threat of “death by drone.z’ People there are marching in the tens of thousands against the Pakistan and United States wink-and-a-nod targeted assassinations. Retired Army Col. Ann Wright of Honolulu, HI, Toby Blome of El Cerrito, CA and JoAnne Lingle of Indianapolis, IN also were all arrested in Washington DC recently during the Senate hearings for John Brennan’s appointment to direct the Central Intelligence Agency. Wright added that the CIA’s drone strikes in Pakistan–and other countries the US isn’t officially at war with–are dwarfed by the number of strikes in Afghanistan. Dept. of Defense statistics available on their website until late February according to the Bureau of Investigative Journalism, showed that of the missile strikes in Afghanistan in 2012, 25% of them, almost 500, were fired from drones. There were 46 CIA drone strikes in Pakistan in the same year. “Creech drone crews have fired 10 times as many missiles into Afghanistan as CIA operators have into Pakistan,” added Wright. For route and schedule details of the walk and other background information, visit NevadaDesertExperience.org. Over 30 walkers are already signed up for this year’s walk. Stopping drone warfare at Creech AFB right now! Code Pink Toby explains what is happening this weekend at Creech Airforce Base where hundreds of Catholic Workers and Code Pinkers are gathering to protest the use of Drone warfare and the research that makes possible robot weaponry. They will be present each morning up to October 13th, so join them! The following was written on Las Vegas City Life about the visit of the Japanese delegation of Gensuikyo which had also been present during the negotiations of the Nuclear Non-Proliferation Treaty in New York at the beginning of May. Unfortunately this LV City Life blog is making a comparison with protesting against racist oppression, which is according to us also a valid peace protest. But by lack of any other report on the ground from Nevada about the Japanese delegation, we publish this text here. Latinos taking to the streets to protest Arizona’s racist oppression have continued to dominate headlines across the American West, but a far worse brand of brutality drew scores of international activists to Las Vegas last week: the threat of nuclear annihilation. More than 80 Japanese activists, fresh off a rally last week outside negotiations for the Nuclear Nonproliferation Treaty in New York City, made the trek to Las Vegas to take part in a May 6 peace vigil outside the Lloyd D. George Federal District Courthouse. The Japanese citizens, part of a delegation from the Japan Council Against A & H Bombs (known as Gensuikyo in their native tongue) banged drums, held signs reading “For the existence of human beings and the future of children: a world without nuclear weapons” and, later in the day, rallied with members of the Western Shoshone Nation at the Nevada Test Site to protest the continuing reliance on nuclear weapons as the ultimate deterrent. The Vegas delegation was part of a larger contingent of 1,500 Japanese activists who came to the United States last week to pressure world leaders to finally abandon the bomb. Before 80 of them arrived at their Vegas stop, they rallied, demonstrated and paraded outside the United Nations building in Manhattan as Secretary of State Hillary Clinton and Iranian President Mahmoud Ahmadinejad spoke inside as part of the officially sanctioned nonproliferation proceedings. The activists even tried to present U.N. treaty negotiators with boxes of 100,000 signatures from citizens across the world who were demanding an end to nuclear weapons, but officials only allowed two small boxes inside. Back in Vegas, Japanese activists said President Barack Obama, despite recent promises, hasn’t done enough to rid the world of the nuclear threat. How much the grassroots are getting through to Obama, however, remains to be seen – especially considering the young president has proposed cutting nuclear weapons by just one-third, that he continues to parrot Israel’s hysteria-inducing talking points that Iran will stop at nothing to build a bomb (despite 2009 testimony from Director of National Intelligence Dennis Blair and former Defense Intelligence Agency Director Lt. Gen. Mike Maples that Iran has zero weapons-grade uranium and that its missile tests are not related to its nuclear activities) and, finally, that Obama has said nothing about cementing a nuke-free zone across Latin America (despite Brazil’s three formerly secret nuclear programs from 1975 to 1990, and its recent efforts to deploy a fleet of nuclear submarines). This is to say nothing, of course, about Obama’s new-found reluctance to stop America’s current oil wars, including his May 12 memo, placed in the Federal Register after normal business hours, that seems to indicate troop withdrawals from Iraq will be delayed at least another year. Still, activists like Mochisuki remain hopeful that human beings can eventually evolve beyond their current desire to murder one another for territory and treasure. “I have a hope, and I believe, that we can create a world without nuclear weapons, without killing each other. We, as the people of all countries, have the power to demand this of our leaders. It is beginning to happen, this call for nonviolence is beginning to spread around the world. This people’s movement can change governments. We can achieve this,” she said. 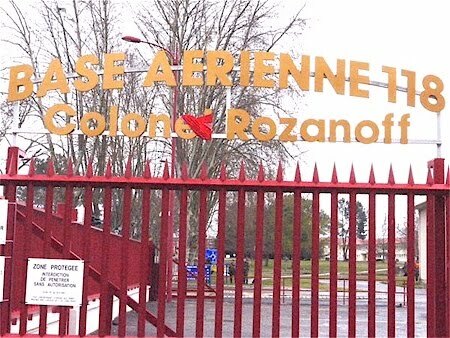 In Mont de Marsan, in Les Landes-area, around sixty activists undertook a citizen’s inspection of the air base, part of the Special Munitions Depots, where the French nuclear bombs are being kept. Thirteen people suceeded in entering the base. All were arrested and interrogated by the gendarmerie, and released. Some arrests were performed violently. In Brest some demonstrators were present in front of the Navy Prefecture, seat of the Navy Nuclear Force while the night before, as every first Friday of the month, the group “Sober and Vigilant” kept watch in front of the Operational Command of Nuclear Forces in Paris.